Mark H. Dellinger is a Member in the Firm's Labor & Employment group, as well as the Coal, Energy and Manufacturing industry groups. He practices out of the Firm’s office in Charleston, West Virginia. With a career spanning more than 20 years, Mark has built a solid practice focused on representing private and public sector employers in preventive counseling, employment litigation, and traditional labor relations matters. A significant part of Mark's litigation practice is devoted to representing employers in the defense of cases filed in federal and state courts, and on appeal. He is a seasoned trial attorney, having successfully tried many types of employment cases to verdict, including claims alleging wrongful discharge, discrimination, harassment, and retaliation. Mark also represents employers in administrative hearings and other proceedings before various federal and state agencies. 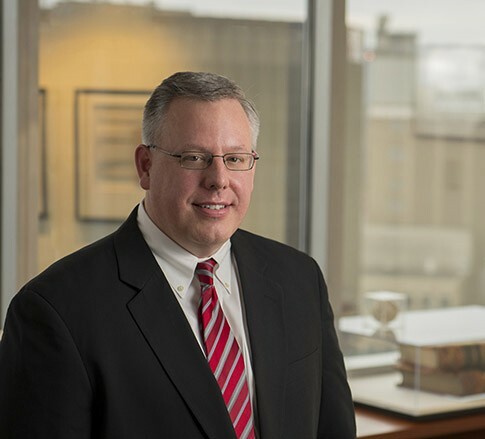 In his labor relations practice, Mark serves as the lead negotiator for employers in collective bargaining negotiations, including negotiations conducted under contract reopener provisions. Acting in this role, he represents employers engaged in many different industries, including manufacturing, energy, gaming, and healthcare. Mark also represents management in grievance arbitrations involving "just cause" discharge and contractual issues such as promotions/job bids, subcontracting, benefit changes, and dues check-off clauses. Furthermore, he defends employers against unfair labor practice charges filed with the National Labor Relations Board, as well as actions filed in federal court under the Labor Management Relations Act. Mark is recognized for his work in the field of labor and employment law by The Best Lawyers in America®, Chambers USA, and Super Lawyers®. He also has received a preeminent AV peer-review rating from Martindale-Hubbell. In addition, he was appointed by West Virginia Governor Earl Ray Tomblin to serve as a member of the State Personnel Board. Prior to joining the Firm, Mark served as the leader of a labor and employment practice group of a regional law firm for over a decade.